Good riding gear will offer comfortable protection from the elements without compromising the benefits you get from riding— the sights, the feelings, the smells, and the sounds. Cars protect the occupants of the vehicle from the elements and other vehicles that motorcycles don’t have; windows, bumpers, air bags, and steel side-impact structures. Motorcyclists protect themselves with what they wear. Beyond weather protection, you need gear because cars prey on motorcycles and they are out to get us. Car drivers are insulated and distracted from the activity of actually driving their cars by so cell phones, texting and so on. The bottom line: assume every single vehicle on the road is out to get you, and you’ll be right. Motorcyclists need protection from weather, abrasion, impact, invisibility, and bad music. Properly designed riding gear can protect you from the first four. Sun, wind, rain and extreme temperatures are the elements requiring consideration. We’ll need to weigh abrasion protection in your decision, because sliding body parts rapidly along an asphalt or cement surface is an excellent way to remove skin and flesh (which presumably you want to avoid). We all understand the need limit the damage from bouncing against, and getting hit by, stuff. It’s easy to fall into the trap of choosing riding gear like we choose street clothes. But motorcycle gear is more like the gear worn by fighter pilots or fire fighters; protection should be the first criterion. All professionals equip themselves with the latest and best gear available. Professional motorcyclists, too, use the best protective gear available. But your typical riding environment is much different than professional racers—it’s worse! 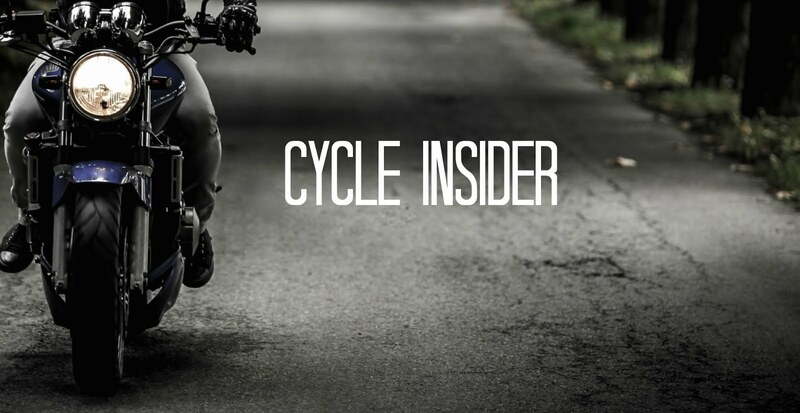 If you consider yourself a serious rider, keep in touch with advances in riding and plan to upgrade your gear, when something measurably better comes along. Here are the 6+1 motorcycle riding gear essentials. A good-fitting, well-designed, DOT or Snell-approved helmet is a great riding companion. Besides the obvious help a helmet provides if you attempt to dribble your melon on the tarmac, it keeps your head dry when it rains, warm when it’s cold, quiet in a 70-mph wind, and even keeps you cooler on hot days by controlling the rate of evaporation. The helmet also protects you from bugs and sand that go “splat” and “ping” on a helmet at 70 mph but could leave a scar on a bare forehead. Regardless of the jacket you wear, make sure it has protective armor on the shoulders, elbows, and back. The jacket also needs to be comfortable, but fit tight enough so armor stays put in case of a get off. The armor in your jacket should be designed similarly to a helmet, with a hard outside shell and a shock-absorbing inside, and closed-cell foam that’s soft and pliable when moved slowly but that stiffens right up and provides protection when whacked hard. An alternative to built-in armor is armored underwear that is worn under less-protective jackets (and pants and jeans), if you need to look a certain way while riding. Choose bright colors with high conspicuity to ensure you’re seen by other traffic. Reflective strips incorporated into the design of the jacket will help. Especially if you ride in high-traffic areas, such as when commuting on your motorcycle, you can take a tip from road workers and wear a hi-viz green vest with reflective strips over the top of any jacket. These vests are relatively inexpensive and easy to stow. For protection from rain, you’ve got two choices. You can choose to wear a dedicated rain suit over your riding gear. Or you can chose waterproof riding gear that incorporates a breathable inner fabric like Gore-Tex. The disadvantage of integrated gear is that it is typically more expensive than a rain suit. The advantage of waterproof riding gear is that you don’t need to stow, and then stop and change into, a rain suit when it begins to rain. Leather boots with a minimum 8 inches of height are required by professional racing organizations, and that seems to be a good standard to use for all types of motorcycle riding. Look for impact padding or armor on the inside and outside of the ankle as well. If you will be riding in the rain, get boots that are waterproof and keep them treated to maintain their water-repelling properties. It’s easy to take the functioning of our hands for granted, because they are used in just about everything we do. As important as your hands are, the parts and materials of which they are made are easily damaged. You’ll need a variety of gloves to protect your hands for different riding conditions. 6) EyewearTo safeguard your eyes while riding, you need protection from flying debris like dust and bugs, and you’ll need some shading from bright light. Regardless of the specific method you choose, your glasses, goggles, or face shield need to be shatterproof. Although a windshield isn’t riding gear, it is an accessory that provides some of the same functions as riding gear such as shielding you from the wind (and wind noise), rain, bugs, and the occasional unlucky or slow bird. And just like riding gear, it’s rare to find one that is right for every size and shape of rider. There are a wide range of manufacturers and models from which to choose, from small handlebar-mounted screens to large shields integrated into frame-mounted fairings. A phrase used by some veteran motorcyclists is ATGATT, which is an acronym that stands for “All The Gear, All The Time.” Even the best gear won’t protect you if it’s at home in the closet. Even if you are going on a short ride, even just to the store, you should put on your protective riding gear. 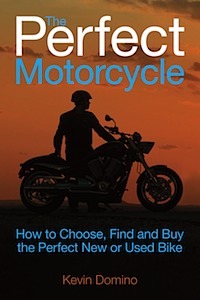 ** The preceding is excerpted from the book, The Perfect Motorcycle: How to Choose, Find and Buy the Perfect New or Used Bike. The information provided here will give you a framework to guide your motorcycle inspections and purchases. Space limitations preclude an in-depth discussion of the subject. You can find out about the book at www.theperfectmotorcycle.com. There are also 18 checklists and worksheets available for download at www.theperfectmotorcycle.com/download-worksheets-and-che.html that you can use to supplement the information in the book. Motorcycle apparel are quite expensive but they are so cool to look at. I believe that products usually go with the price. The more expensive they are the longer they last. Better buy the quality ones rather than the cheap but substandard ones. Thanks a lot for the tips. I also like colorful gear because it looks good with the bike. These gears can be expensive though especially when looking for branded ones. The upside to having quality equipments is that they can offer great protection plus they will also last longer. The downside to it though is the price. Quality gears are usually expensive. However, safety is always of utmost priority so no matter the cost, riders should buy the best gear. I really enjoyed reading Kevin Domino's book. It has been sort of my bible since I am also a motorbike newbie. I really learned a lot from him and it has become my guide from buying my very first helmet (LAS Victory) and a pair of kevlar jeans that I got from here http://www.s3performance.com.au/shop/apparel/road-bike-gear/kevlar-jeans/120303 . I recommend this book to all the new and old motorcycle riders and enthusiasts. Thanks a lot for this really informative writing. True to say, I was thinking about buying a new helmet for me. My cousin suggested me to buy from Bogotto.De. Do you know about this motorcycle clothing shop? Get free table of content and free reference list for your Assignment Help ireland and complete your assignment without any mistake at lowest price. Experience our service once and get quality assistance for your assignments. Hire our experts now and get 10% discount on your second assignment and get errorfree Buy essay online from our experts. The UK professionals at StudentsAssignmentHelp.com continue giving the scholars with amazing Assignment Help services at a very good price. Our experts are working for you quick and speedy assignment delivery as we know they do not have an amazing time to waste. Thus we have a team of passionate and dedicated experts. I highly appreciate your keen interest. Make your life hassle-free and smooth by leveraging childcare assignment writing service of GoAssignmentHelp portal. Here at GoAssignmentHelp, You can ask for do my assignments online at best available & affordable prices. Thank you for sharing good knowledge and information it's very helpful and understanding.. as we are looking for this information for a long time.